Here’s a wonderful resource for the app designers and developers. 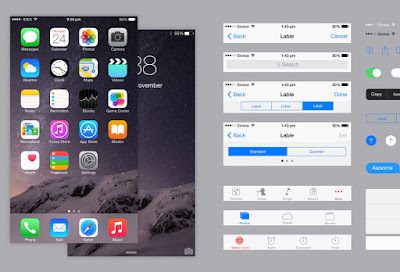 This is a iOS 8 GUI PSD exclusively for iPhone 6 Plus. Fully layered, shape layers, editable.. handy resource for creating native apps and mockups.